April 2, 2019, 8:32 a.m.
By Laura Hazard Owen @laurahazardowen April 2, 2019, 8:32 a.m. Most of Facebook’s users go there to connect with friends, not to get news, says Mark Zuckerberg. But for the “10, 15, maybe 20% of people in our community” who do want to go deep on news, what can Facebook offer them? In a recent discussion with Axel Springer CEO Mathias Döpfner, Zuckerberg talked about a new tab (he repeatedly called it a “surface,” so don’t get confused when you see that again below, it’s a tab) that the company is working on: A News tab that would “surface high-quality and trustworthy information.” You can watch the “discussion,” which Facebook released on Monday, here. (It followed a Zuckerberg op-ed on Internet regulation that ran on Saturday in The Washington Post.) The News tab sounds somewhat akin to the “Watch” tab for on-demand video that Facebook launched in the U.S. in 2017 and globally last year. “Rather than do the typical thing that I think Facebook would have done a year ago — have some engineers and product managers internally say, ‘OK, we think there’s something to do with news, let’s go build what is best,'” Facebook is trying to build the News tab in a “more consultative” way, Zuckerberg said, and said that’s why he’s bringing it up with Döpfner. It’s also probably not a coincidence that this discussion is being publicly released a week after Apple launched its own revamped news product. 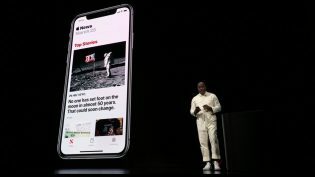 Döpfner — who has been an outspoken European proponent of big platforms paying for their use of publishers’ content — responded that the most important thing about such a tab would be for it to have a “fair model,” with publishers receiving direct access to consumers and/or receiving a fair revenue share. 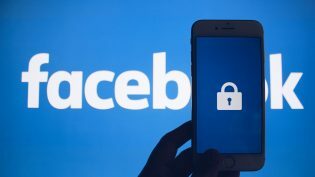 A licensing fee seems “simple and obvious,” he said, adding that Facebook “would be perceived as a really helpful player” if it were to start paying publishers fees for news articles read via the tab. How personalized will the content in the tab be? Zuckerberg began with the premise that “of course anything that we do is going to be personalized,” but he had a follow-up: “Should we make it so that if you follow The New York Times, you can get their content, but if you don’t follow The Washington Post, you’re not going to see that content? Or should we have some kind of understanding — here are the sources that are broadly trusted across society, or in your network specifically — and try to build algorithms or human curation? Should we be trying to explore this in a way where we can surface more high-quality content, or do you think we should have it stay limited to what you, as a person using the service, have asked for and connected to yourself?” (The Watch tab for video that Facebook rolled out globally last year, he pointed out, includes “unconnected” content, turning up videos from brands that users don’t follow already.) Of course, it’s unlikely that a person who follows The New York Times would be unhappy to see an article pop up from The Washington Post. Those publications have overlapping audience. A more interesting scenario to think about is how much Facebook’s algorithms or human curators would manage the whole “both sides” thing: Will articles from Fox News be nestled alongside those New York Times stories? “I don’t see any reason why you shouldn’t be as broad as possible,” Dopfner said, clarifying that this “broadness” would still need to take place within the context of having screened out untrustworthy news outlets — which, again, is much easier said than done and is also something that Facebook historically has been…not great at. Zuckerberg is talking about news in a different way than the company has talked about it in the past. Traffic, for instance, isn’t mentioned. (Campbell Brown, Facebook’s global head of news partnerships, last year: “We are not interested in talking to you about your traffic and referrals any more. That is the old world and there is no going back.”) In the instance of this News tab, it seems as if the articles would be read entirely within Facebook, Instant Articles–style, and publishers would get a licensing fee for providing them. It isn’t clear whether publishers would get more money for more popular articles. If Facebook is saying wants to include “high-quality and trustworthy” information, it’s going to need to do some editorializing and picking and choosing, something that in the past it has been loath to do (R.I.P. Trending Topics). The hiring of human editors as full-time Facebook employees would be a first for the company. And when Zuckerberg differentiates between sources that are “broadly trusted across society, or in your network specifically,” well, what does that end up looking like in the tab of a user who believes The New York Times and Washington Post are fake news? We’ll see. Aside from whatever editorial and financial arrangements get made, there’s a really big question around attention. Will adding a dedicated news tab also involve reducing news’ prominence in the main News Feed — or removing it altogether? Let’s not forget the last time Facebook experimented with a similar idea, in 2017, when it picked six countries’ information ecosystems to experiment on and moved news stories out of the main News Feed and into a new dedicated tab called Explore. The result wasn’t good! Traffic to quality publishers in those countries — where Facebook is an even more important driver of traffic to news sites than in the U.S. — dropped by as much as half to two-thirds. You gave us our answer: People don’t want two separate feeds. In surveys, people told us they were less satisfied with the posts they were seeing, and having two separate feeds didn’t actually help them connect more with friends and family…We also received feedback that we made it harder for people in the test countries to access important information, and that we didn’t communicate the test clearly. Mosseri now runs Instagram, in case anyone from Facebook wants to ask him about it. According to what one source told Recode, the product is supposed to launch by the end of this year. POSTED April 2, 2019, 8:32 a.m.
Owen, Laura Hazard. 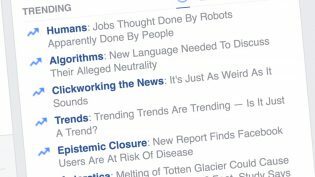 "Facebook is working on a dedicated News tab that might pay publishers licensing fees (or quarantine news where most users won’t find it)." Nieman Journalism Lab. Nieman Foundation for Journalism at Harvard, 2 Apr. 2019. Web. 23 Apr. 2019. Owen, Laura Hazard. "Facebook is working on a dedicated News tab that might pay publishers licensing fees (or quarantine news where most users won’t find it)." Nieman Journalism Lab. Last modified April 2, 2019. Accessed April 23, 2019. https://www.niemanlab.org/2019/04/facebook-is-working-on-a-dedicated-news-tab-that-might-pay-publishers-licensing-fees-or-quarantine-news-where-most-users-wont-find-it/.